You just have to take the spikes off. 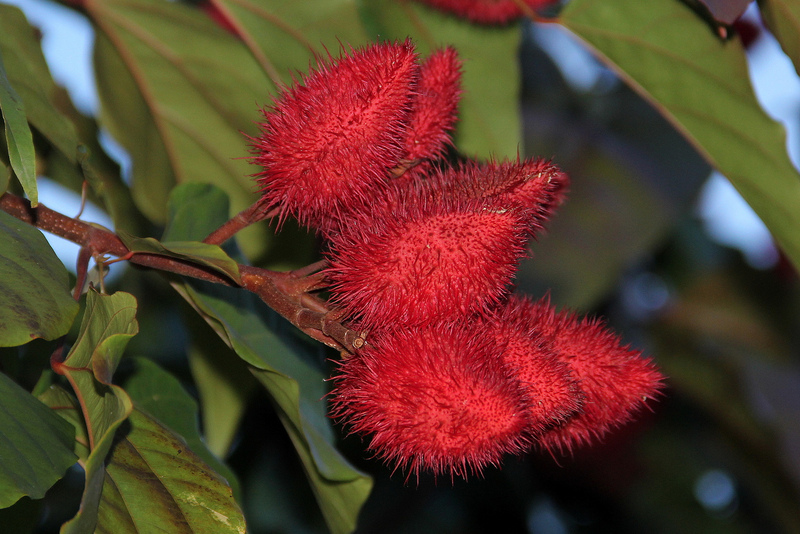 The Lipstick Tree, also known as the Achiote, is a shrub or small tree from South and Central America. 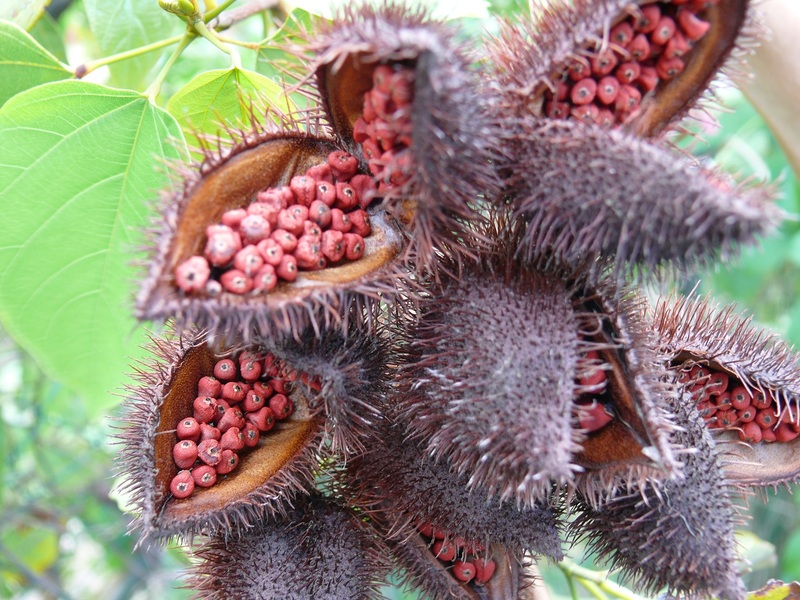 Which get replaced with bright red, spiky pods. 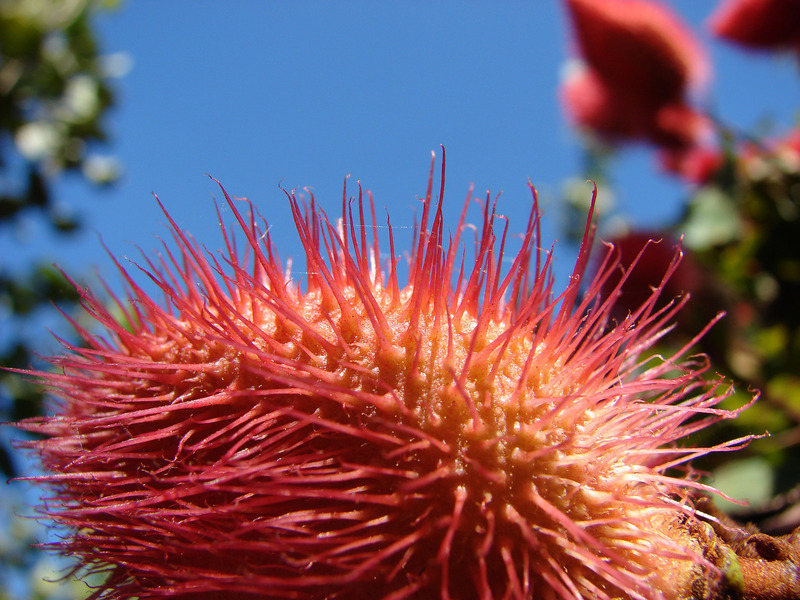 Luckily, the spikes are nice and soft. They look a lot worse than they are. I always try to remember that when I see pictures of people fiddling around with the things and getting red stuff all over their fingers. Those look a lot worse than they are, too. But this isn't the lipstick, yet! There's a lot more work to do. 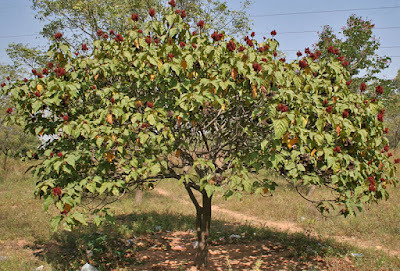 And I thought the entire point about growing on trees is that it made things easy? Like... coconut water and pineapple rings. And split open to reveal the seeds. 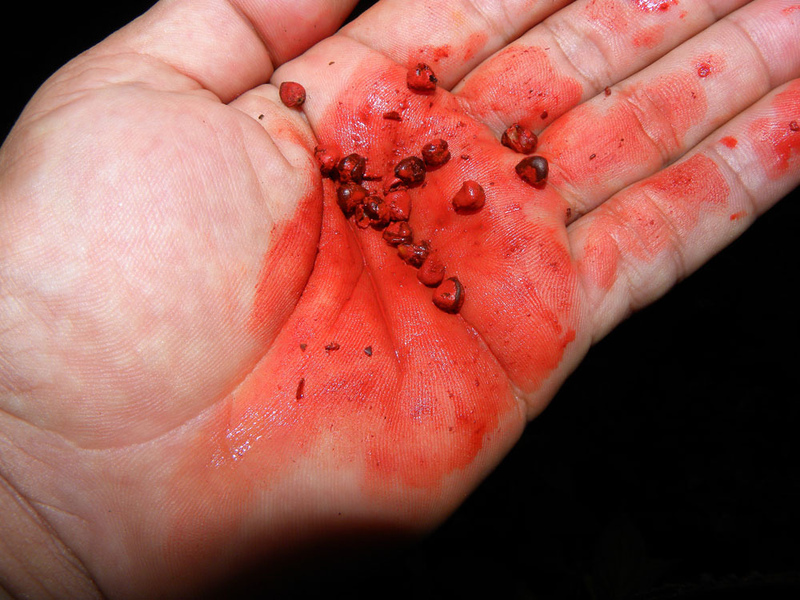 Each seed is covered in a waxy coating and this, at last, is the stuff that's so full of red pigments it simply can't wait to get out and explore the world and all its fingers. Specifically, the pigments are carotenoids (named after carrots!) like bixin and norbixin. 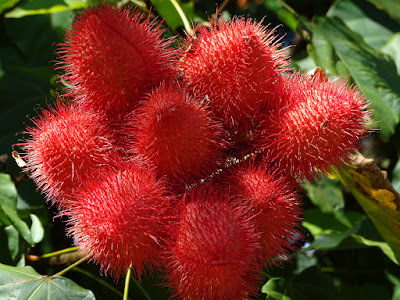 Tribes in South America have used this stuff as body paint for aaaaaages. 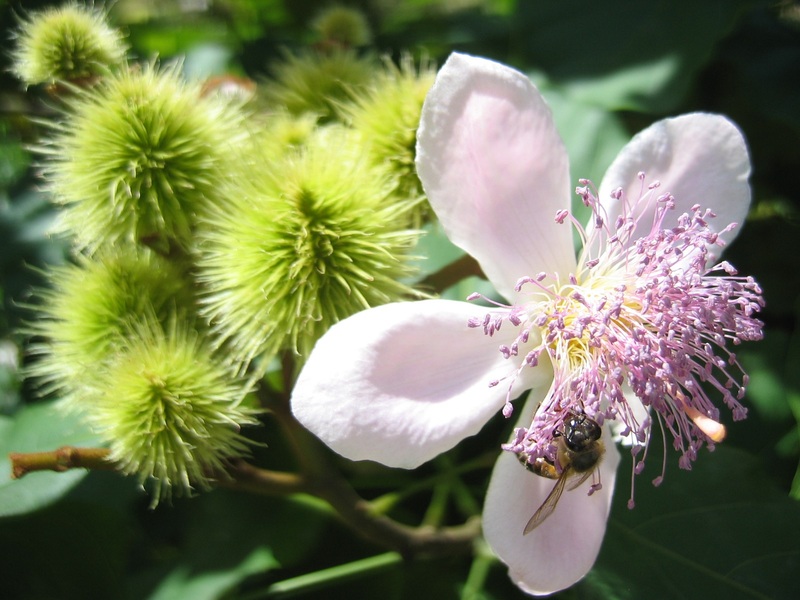 Aztecs used it as ink for writing in the 16th Century. 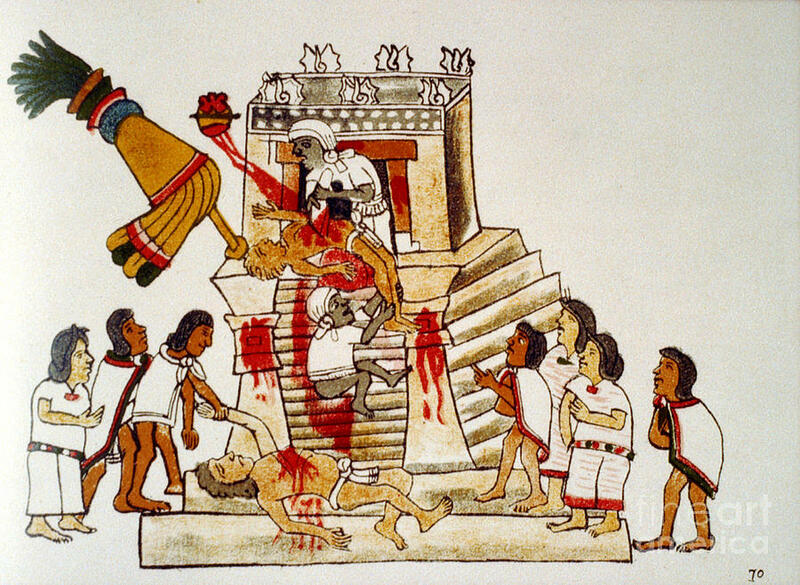 I can't help but think that the fact the stuff looks a bit like blood was a major selling point for the Aztecs. Then the Spanish came along and said, "Wow, look how red! Let's transport it all over the world." And they did. 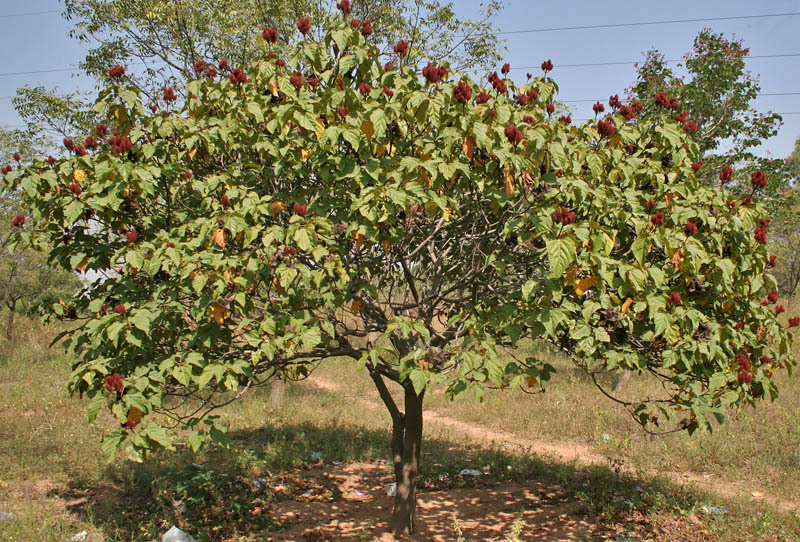 Lipstick Trees are now grown all over the tropics and even subtropics, including parts of Africa and India. 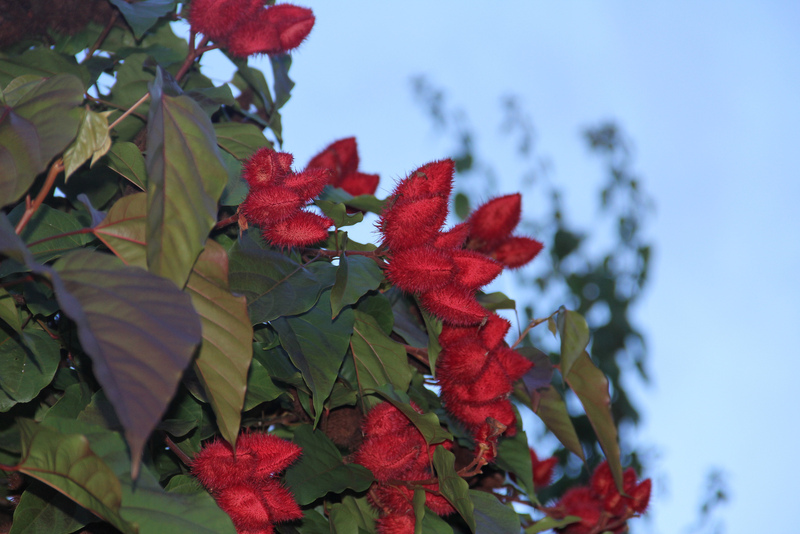 Give it some sun, keep it out of cold winds and frost, and you may well have yourself a thriving Lipstick Tree. 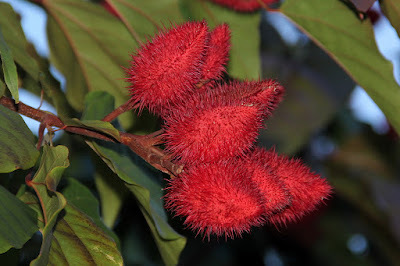 Lipstick Trees are now used in cuisines all over the world in its guise as a condiment called annatto. Not just for its red colour, but also for its peppery, nutmegy flavour. By the 18th Century it was getting added to cheeses like Red Leicester to give it that golden glow. Did you know cheese wore lipstick? I had no idea!